Ever Faithful To His Lead: My Journey Away From Emotional Abuse is a memoir, a true life tears-to-triumph story of self-defeating detours and dreams lost and found. Ever Faithful To His Lead: My Journey Away from Emotional Abuse is available as an e-book and paperback at Amazon, Barnes & Noble, and IndieBound. To win a copy of Ever Faithful To His Lead: My Journey to Memoir, please enter using the Rafflecopter form at the bottom of this post. The giveaway contest closes this Friday, October 10th at 12:00 AM EST. We will announce the winner the same day in the Rafflecopter widget. Good luck! Kathleen Pooler is an author and a retired Family Nurse Practitioner whose memoir, Ever Faithful to His Lead: My Journey Away From Emotional Abuse, published on July 28, 2014, and work-in-progress sequel, Hope Matters: A Memoir of Faith are about how the power of hope through her faith in God helped her to transform, heal and transcend life’s obstacles and disappointments: domestic abuse, divorce, single parenting, loving and letting go of an alcoholic son, cancer and heart failure to live a life of joy and contentment. She believes that hope matters and that we are all strengthened and enlightened when we share our stories. One of her stories “The Stone on the Shore” is published in the anthology: The Woman I’ve Become: 37 Women Share Their Journeys From Toxic Relationships to Self-Empowerment by Pat LaPointe, 2012. Another story, “Choices and Chances,” is published in the My Gutsy Story Anthology by Sonia Marsh, September, 2013. WOW: Kathleen, we’ve known each other quite a while now. You’ve been very influential in helping other others, so the question on my mind is: Who has been most influential in YOUR writing career? On the maternal side, at the age of ten I wrote plays which I acted out in front of my Italian grandma, Nan and her lady friends. I can see them gathered in the living room sipping coffee and chattering on in Italian. I never understood a word but I can still feel their fascination and loving attention as they hushed each other when I stood in the archway to announce the beginning of the play. WOW: It’s awesome to hear how supportive your family is; what a wonderful gift they gave to you! Speaking of gifts, if your current self could hop in a time machine and give the gift of advice to a younger version of you, what would that be? All we can do is move forward and I’m glad to see you moved forward with publishing your memoir. What pushed you in that direction? Kathleen: Writing has been a passion of mine since I received my first diary with a lock and key at the age of eight. I have journaled my entire life, especially in times of turmoil. I decided to answer the call to write with the intention of eventually publishing a book, back in 1999 when I took my first online writing course, ”Getting Started in Writing” through Writer’s Digest. I loved testing my ability to write effectively and getting feedback. I wrote the story closest to my heart, my young son’s descent into substance abuse. It helped me to clarify the wide range of feelings I was experiencing. When I shared my writing with my son, I was pleased how open he was to hearing my perceptions and the impact his drinking had on me. From 1999 through 2013, I kept writing, taking craft courses, built my author platform and finally completed the first draft of the memoir that was published in 2014. It was not the story I started writing but it was the story that revealed itself to me—the story that begged to be told. Since 2013, I have been rewriting and polishing the story until its publication date on July 28, 2014. Now to answer your question. What prompted me to publish and motivated me to the finish line was a deep connection to my purpose for writing my story. Once I connected to this purpose—of sharing hope that no matter how bad things may seem, it is possible to climb out of the abyss of poor decisions and lead a joyful life—there was no stopping me. I had to get my story out there for others. WOW: Some memoir writers are done once their memoir is published and other go on to write more. I love your writing (even how you answered that last question—beautiful!) and hope there are more books in your future, but what is YOUR plan? Kathleen: After completing the initial phase of my marketing campaign for Ever Faithful to His Lead, I plan to continue writing a sequel about my simultaneous battle of a diagnosis of cancer and my son’s descent into alcoholism. The working title is Hope Matters: A Memoir of Faith. It will be about my faith helped me overcome these battles. I also have nursing stories I’d love to package into a book. The working title is Sacred Ground: Stories from My Nursing Career. WOW: Sounds like you’ve already got a good start and I hope to get my hands on a copy of Sacred Ground as well! You certainly have plenty of experiences to draw from. Is there something about you that might surprise readers? Something very few people know about Kathleen Pooler? Kathleen: I love a good party and socializing with friends but I also love my alone time and the days I can be a homebody. I love to sing (even though I can’t!) and dance. I love music of any kind (except hard rock) and country and oldies music top the list. WOW: I’d ask how you feel about fan clubs for musicians but we had better stick to books. What are your thoughts on writers clubs and book clubs? Kathleen: Writers groups are essential but they have to be a good fit. I feel it is important to feel safe sharing your work and getting constructive feedback. The same with book clubs. It should be a place to discuss and reflect upon books but it also should be a group you feel comfortable expressing your views in without judgment. WOW: I agree, there’s enough judgment out there and don’t we all worry about negative comments and rejection? I like feedback from my writers group because it’s always well intended. I’m sure publishing your memoir can be scary. How have you dealt with rejection and/or negative reviews? Kathleen: I think they are inevitable and we need develop a tough skin and be open to ways we can improve. So much depends upon how the rejection/negative review is delivered. If it is a personal attack with no substantive constructive feedback, it needs to be ignored. If it spells out area of weakness and ways of improvement, it can be a gift. It’s not easy to depersonalize it but I think it’s the only way to survive. Some people say to not even read reviews—positive or negative. Going through a professional editing and beta reading process helped me develop a tougher skin. I also learned what to accept and what to disregard. It’s important to be open to ways to improve while also being true to your story. WOW: That sounds like good advice for any author. When did you call yourself an author? Kathleen: I called myself a writer until I published my memoir. Now I call myself an author. Happily. WOW: That sounds like a victory and a happy dance to me! Other than the new title, how do you celebrate your writing victories? Kathleen: I had a great Book Launch Party on 8/23 at my local Indie Bookstore! Right now, I’m in full marketing mode but I find myself taking more breaks and doing some of the other things I want to do—like spend time with my husband, my grandkids, my friends. WOW: Do you have a favorite author? Maybe not someone you spend time with, but anyone in particular? Kathleen: That’s a tough question because I love to read a variety of authors and genres but two of my favorite authors are James Michener for his rich detail and Ernest Hemingway for his sparcity of prose that says so much. WOW: This is an odd question but I always find the answers so intriguing. If you don’t mind my asking: If your book was turned into a Hollywood movie, what song would you want playing as the credits role? WOW: That was one of the first songs I learned to play on the piano—I might even volunteer to play it for you if you ever come to Wisconsin! Thank you so much for this great interview and what is sure to be an even greater tour Kathleen! This has been an incredible pleasure! Find out what fellow memoir writer Madeline Sharples thinks after reading Kathleen Pooler's memoir, Ever Faithful To His Lead: My Journey Away from Emotional Abuse. This is a blog stop you won't want to miss! Join Kathleen Pooler as she explores "How a Nurse Learns to Care for Herself" as she visits All Things Audry with her memoir Ever Faithful to His Lead. Kathleen is generously offering an ebook copy of Ever Faithful To His Lead: My Journey Away from Emotional Abuse to one lucky winner of a giveaway. Thank you to both Kathleen and Audry! Join Katherine Hajer as she reviews Kathleen Pooler's touching memoir Ever Faithful To His Lead: My Journey Away from Emotional Abuse. Join Kathleen Pooler as she writes a guest post titled "Writing as a Pathway to Healing" and shares her thoughts with author and friend, Sherrey Meyer. Find out more about Kathleen and her insightful memoir Ever Faithful To His Lead: My Journey Away from Emotional Abuse. Don't miss Kathleen Pooler's interview with Lauren Scharhag as these ladies discuss the hot topic of memoir. 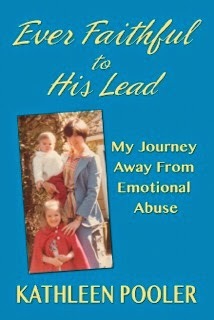 Find out more about Kathleen and her own Ever Faithful To His Lead: My Journey Away from Emotional Abuse. Join Kathleen Pooler as she guest blogs about "How Writing Memoir Helped Me Find Self-Forgiveness" at Vera's Version and shares insight into her memoir Ever Faithful To His Lead: My Journey Away from Emotional Abuse. Kathleen Pooler and her memoir Ever Faithful To His Lead: My Journey Away from Emotional Abuse makes a stop to visit Saloma Furlong at About Amish where you can read Saloma's review and get in a giveaway for an opportunity to read Ever Faithful To His Lead for yourself! Join Lisa Haselton as she interviews Kathleen Pooler and we all learn more about Kathleen's memoir Ever Faithful To His Lead: My Journey Away from Emotional Abuse. Author, Friend, and Fellow Memoir Writer Jerry Waxler reviews Kathleen Pooler's Ever Faithful To His Lead: My Journey Away from Emotional Abuse This is a blog stop you won't want to miss! Join Linda Austin as she interviews Kathleen Pooler about Pooler's Memoir Ever Faithful to His Lead: My Journey Away from Emotional Abuse. Kathleen Pooler shares her latest project: Ever Faithful To His Lead: My Journey Away from Emotional Abuse as she visits with friend and fellow author Mary Gottschalk and fittingly writes about "Girlfriends Matter". This is a blog stop you won't want to miss! 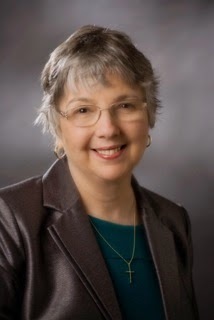 Join memoir writer Kathleen Pooler as she guest posts at CMash Reads. Kathleen will share her story of "Writing Through the Pain" and tell more about her popular memoir Ever Faithful To His Lead: My Journey Away from Emotional Abuse. Enter to win a copy of Ever Faithful To His Lead: My Journey Away from Emotional Abuse by Kathleen Pooler! Just fill out the Rafflecopter form below. We will announce the winner in the Rafflecopter widget this Friday, October 10th! This was an inspiring interview--so much so that I went right over to Amazon and bought the Kindle copy! :) I admire you for your bravery and for helping other women find their way. Congratulations on publishing your memoir, Kathleen. It must have taken a great deal of bravery to write your story and share it with others. I also remember those wonderful secret diaries--mine had a little gold lock to keep out intruders. :) Good luck with your blog tour; I will be following along! Crystal, thank you very much for this interview! You asked me some very interesting and challenging questions. I'm excited to begin the tour. Margo, it's nice to "meet " you. I appreciate your support very much. My greatest hope is that my story will help others in a hopeful and healing way. Thank you for stopping by to comment. HI Elizabeth, I'm loving meeting new people! Thank you so much for your kind words. I had to put this story away many times because it was too painful to write. But , as I learned through the process, the only way to the other side of the pain is through. I am so happy I did finish it because writing this memoir helped me to heal. I am hopeful it will help others as well. And yes, those secret diaries served am important purpose, eventually becoming the seeds for the memoir. I'm thrilled to have you along on the tour! As a psychotherapist and addictions counselor (not to mention author who is scheduled to be interviewed by WOW, as well), what is most compelling about Kathleen's story is that she came from a seemingly happy loving/functioning family. That she then went on to make poor choices when it came to men, is not as common as it is for those who have witnessed abuse or grown up without loving care. Gaining the courage through her faith and perhaps due to her responsibility toward her children to break a pattern that was doomed to destroy her is admirable and inspirational. Her memoir is, no doubt, one that will help many others and is further proof to anyone who doubts it that life is about choices, and that it's never too late to make good choices rather han bad ones. BRAVO! Dear Linda, your insights are the exact reason I wrote this memoir; to explore how someone from a loving , stable family could have/would have made so many self-defeating choices. it was a question that haunted me for 25 years. In finding the answer to this question through writing this memoir, I do hope to encourage others that it's" never too late to make good choices" Thank you for your kind and thoguht-provoking comments. I admire anyone who can focus enough to write a book. I have always wanted to write but cannot follow through do to many distractions. I enjoyed the interview, and look forward to reading your book! Hi Tom, you are so right about the distractions. They are always there in many forms. For me, once I became connected to my purpose for writing my story--sharing hope that freedom from abuse is possible--I was able to power through these distractions. I hope you'll give yourself a chance to fulfill your wish to write a book. Best wishes and thanks for commenting. Thank you, Deborah! I look forward to your thoughts after reading my memoir. I appreciate you stopping by to comment.